Following the superb and memorable Olympic and Paralympic Games we have a wonderful opportunity, with the Rugby World Cup in England in 2015, to stage another truly world-class sporting event. A great start has been made with Debbie Jevans, the highly respected director of sport at the Olympics, being appointed as CEO of England Rugby 2015 and with the prospect of rugby being played in the Olympic stadium. 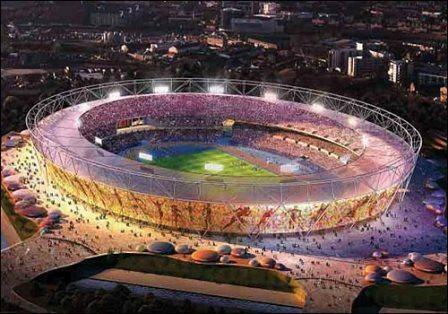 I must say I’m intrigued by the possibility that the Olympic stadium might be used for the Rugby World Cup. I’ve been to the stadium twice in recent weeks and it’s superb – for athletics. Whether it can be modified to accommodate a rugby audience successfully and still be used for major athletics events in the future (which really should be the stadium's legacy), however, remains to be seen. I really hope so because it’s a fantastic venue in a fantastic position – the Olympic Park is an ideal place for international fans to meet and mingle and it’s far better positioned than Twickenham, for instance, to bring top class rugby to London.